For a more comprehensive assessment of the production at large I refer readers to the review of Premiere I. Let me add a few further observations and modifications. The ‘far too much running about, seemingly without purpose, in the first scene’ had been toned down, or maybe premiere nerves made things go a bit wrong. I also thought that Anders Håkansson’s Arturo was less exaggerated in gestures and behaviour this time – and thus so much more credible. On the other hand the laundry-basket and the never finished handling of the white sheet during most of Lucia’s first act aria was even more out of place his second time. We have seen this kind of activity so many times and it never fills any purpose – unless the opera is Falstaff where the laundry-basket is necessary. 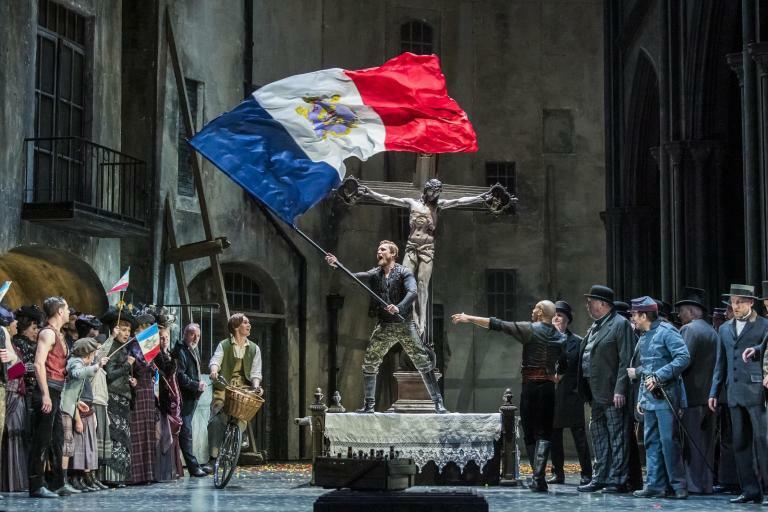 But otherwise the production felt thoroughly homogenous, the chorus acted even more convincingly this time and the playing of the orchestra was impeccable. Of the other two ‘new’ singers I knew Daniel Hällström already as a splendid Silvio in Pagliacci three years ago. Enrico is a tougher role and Hällström lacked the black malevolence that Anton Eriksson could muster at Premiere I and he didn’t look as demonic. On the other hand his rounded Italianate tone was much closer to what Donizetti expected from a bel canto singer, which also was pure gain in the duet with Lucia. The Edgardo, Spanish Javier Palacios, was a splendid youthful actor and his slimmer, more flexible voice was much better suited to the role than Kristian Benedikt’s. There was a slight tendency to press too hard but by and large his was a splendid impersonation of Edgardo and the long final scene was sensitively handled with some beautiful pianissimos. This Lucia di Lammermoor is another feather in the cap for Sten Niclasson and his team at Opera på Skäret and Hanna Husáhr is to be congratulated for her successful debut in one of the most testing soprano roles in the whole opera literature. The road seems paved for even greater things and she is already scheduled for her recording debut this autumn.